On 26 June, Meydan TV Director Emin Milli reported that he had received a threat from the Azerbaijani Minister of Youth and Sport, Azad Rahimov, in connection with his critical reporting on the European Games, which concluded on 28 June in Baku. Former political prisoner Milli heads Meydan TV, a Berlin-based online television station that provides alternative news coverage of Azerbaijan. During the European Games, Meydan TV’s materials were widely used by the international media, including stories on the Azerbaijani bus driver who crashed into three Austrian swimmers, and the interview by a national television station of a fake British tourist – both of which were highly embarrassing to the ruling regime. Milli himself also gave more than 20 interviews on the games to the international media, and authored a popular piece for The Daily Beast, How Much Corruption Can One Game Hide?, which was critical of President Ilham Aliyev – whom Milli has stated he holds responsible for the threat against him. “What harm has [the] Azerbaijani state done to you? We will get you wherever you are and the state will punish you for this smear-campaign against the state that you have organized. You will get punished for this. You will not be able to walk freely in Berlin or anywhere else. You must know this”. As members of the Sport for Rights campaign, we resolutely condemn the threat against Milli, which constitutes a serious violation of Milli’s rights under Azerbaijani and international law. The threat also contradicts the Olympic Charter, which provides for press freedom and human dignity. 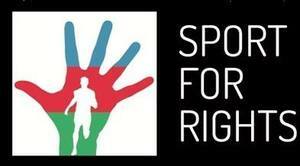 Sport for Rights calls on the Azerbaijani authorities to put an end to their ongoing attempts to silence critical reporting, and to take immediate steps to improve fundamental freedoms in the country, including by releasing all the journalists and human rights defenders currently behind bars for political reasons. The campaign further calls on the European Olympic Committees to speak out, publicly condemning the threat against Milli, as well as the broader human rights crackdown taking place in the country. Finally, Sport for Rights calls on the German authorities to provide Milli with immediate and full protection in light of this serious threat against him.